Dr. Sheila Wu is the director of Asian Pacific Counseling and Treatment Centers (APCTC) in Los Angeles and a licensed psychologist in California. She has been with APCTC since 1992 after completing her National Institute of Mental Health post-doctoral fellowship at the Neuropsychiatric Institute at the University of California, Los Angeles. Her areas of expertise include culturally and linguistically competent mental health treatment modalities for members of Asian and Pacific Islander communities, including children, youths, adults, and older adults. Dr. Brett Sevilla is a board-certified child, adolescent and adult psychiatrist with 18 years of experience. He provides culturally sensitive treatment to families of all ethnicities while overseeing APCTC’s medical services and supervising psychiatry residents from the David Geffen School of Medicine at UCLA. He received his B.S. with distinction in Chemistry from Stanford University, and earned his M.D. at the University of California, San Francisco, where he also completed residencies in both general psychiatry and child and adolescent psychiatry. As an individual with both Filipino and European heritage, he has a particular interest in identity development in multiracial Asian-Americans. He has been interviewed by local and national media, and has presented at regional and national conferences on mental health issues affecting Asian-American and multiracial individuals. Outside of work, he is a marathon runner, an amateur photographer, and a father of two. The APCTC staff consists of over 100 highly trained mental health professionals, paraprofessionals, and support staff. The professional staff consists of psychiatrists, psychologists, social workers, marriage family therapists, nurses, case managers and rehabilitation counselors. 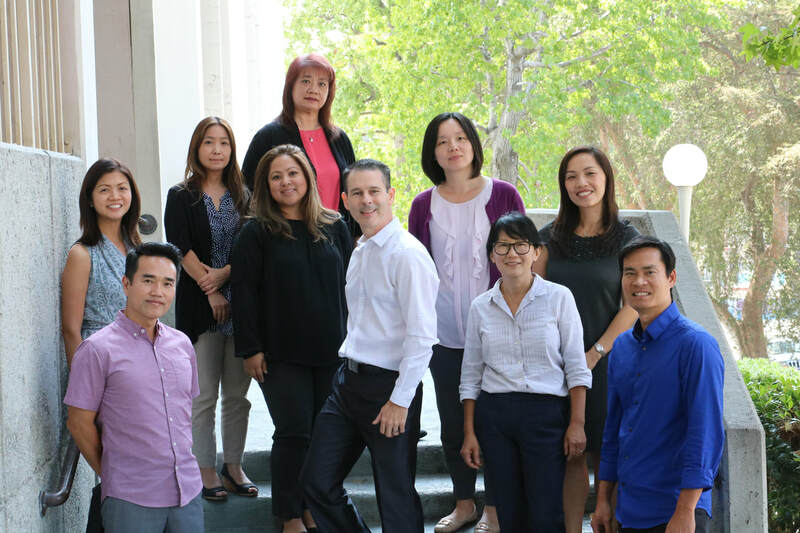 Most of these professionals are themselves of Latin or Asian Pacific heritage and bilingual, representing language capabilities in Spanish or Asian languages including Cambodian, Chinese (Cantonese, Mandarin & Taiwanese), Japanese, Korean, Laotian, Filipino (Tagalog), Thai and Vietnamese. The staff is looking forward to meeting you!